stiltz home lift dealers available in atlanta, marrietta, fayetteville, roswell, dalton, macon areas. Why look for a stair lift when you can have a real lift! Unlike a stairlift your Stiltz can be placed anywhere in the home with the very small footprint, whereas stairlifts can only be placed on a staircase, and are tailored for just one user. Anyone can use a Stiltz Home Lift! It is also much quicker and easier to use than a Atlanta stairlifts! The Stiltz Home Lift is a through floor lift that's specially designed to fit almost anywhere in your home unlike a stairlift. Already popular in Europe, it's the first lift of its kind available in the USA. Developed to make your life easier, the lift helps you stay in your home when the stairs get too much. 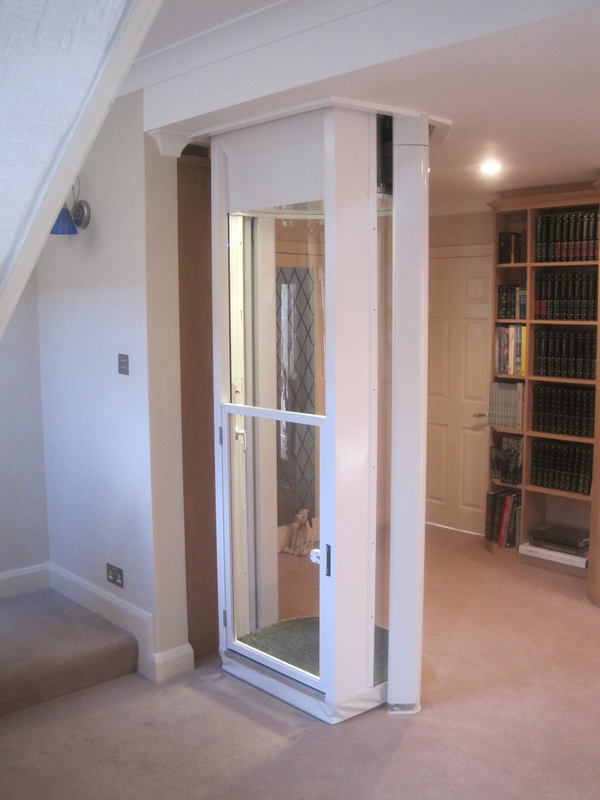 Compared with the cost and inconvenience of moving home, a Stiltz Home Lift really is a cost-effective option. The Stiltz Duo Home Lift carries one or two people comfortably, and the Trio will carry two or three people. You can also fit a standard wheelchair or powerchair into the Trio, whereas a stairlift is modified or adjusted to fit a single user. Both lifts are very quiet, smooth running and simple to operate. Because the Stiltz lift does not need a supporting wall and has a small footprint it can be installed almost anywhere in your home. Also, installation including the simple modification to the ceiling and floor, can be done is as little as 3 days meaning minimal disruption and mess in your home. It uses very little power and can run off a regular wall socket. Without the need to build a shaft and because of the quick installation the Stiltz lift is also surprisingly affordable. In most cases it will be significantly cheaper than a regular elevator and in some cases not much more than custom stairlifts. If you do not think you have the room or budget for an elevator think again. The Stiltz range may just be a pleasant surprise! Thats why we say: "Why have a stairlift when you can have a real lift!